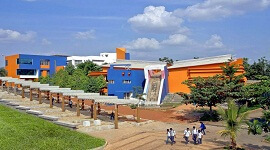 JnanaVikas Institute of Technology was established in 2001 and is approved by AICTE, New Delhi and affiliated to Visvesvaraya Technological University (VTU), Belgaum. The college is located amidst 25 acres of serene and lush green environment, providing a perfect setting for serious academics. The main objective of the institution is to impart world class education to its students by ensuring quality inputs for professional excellence, interactive learning environment and industry orientation teaching. The college has excellent infrastructure and latest technology laboratories of industry standards and highly qualified and experienced faculty, fully committed to individual growth of each and every student. The institution provides both hostel for Boys and girls and lodging home accommodations to the students separately for boys and girls with all amenties at a very reasonable cost. At JVIT, We lay special emphasis on cocurricular and extra curricular activities. These including national level/ other seminars, college day, freshers day, Alumni meet, sports & games competitions etc. The library has huge collection of books and journals to cater the needs of teachers and students and to include new and latest titles. The Placement Department at JVIT has an active placement cell which caters to the placement and training of our Engineering and Management students. The Placement Department provides training in Aptitude Assessment, Mock interviews, Group Discussion etc. JVIT provides excellent infrastructure for conducting on-campus placement activities. 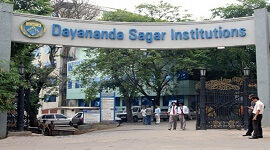 The placement department has 6 Training Rooms, 6 GD rooms, 4 interview rooms, Big seminar hall and Control room. 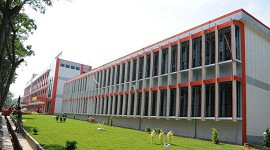 Many companies have visit JVIT every year for their requirement of fresh engineers and management students. Admission directly through management quota assures you seat in your preferred branch without any uncertainly. 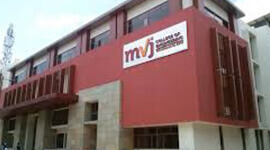 JVIT conducts Bridge courses in Mathematics, English communication, computers etc for newly admitted students without charging extra money. INFRASTRUCTURE: well established 14 years old college with excellent infrastructure and latest technology laboratories of industry standards. FACULTY: Highly qualified and experienced faculty, fully committed to individual growth of each and every student. ACADEMICs: JVIT enjoys excellent academic environment securing 100% pass in final year with first classes & distinctions every year. PLACEMENT: We have a well planned placement training program me, starting from first semester itself in English communication, soft skill development, technical training, group discussions etc. we conduct campus interviews by reputed companies. We have nearly 100% placement record and old students are employed with reputed companies. MENTORING: At JVIT, every student who joins us is guided individually by the faculty to realize his or her true potential through a MENTORING system. The college is located amidst 25 acres of serene and lush green environment, providing a perfect setting for serious academics. 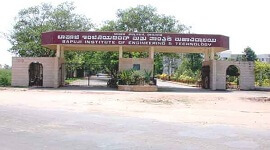 The college is located on Bangalore-Mysore highway, close to Bidadi Railway station and is well connected towards Bangalore and Mysore by buses and trains. 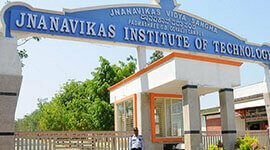 JVIT has both boys and girls hostels within the campus with all amenties at a very reasonable cost. At JVIT, We lay special emphasis on cocurricular and extra curricular activities. These including national level/ other seminars, college day, freshers day, Alumni meet, sports & games competitions etc. NO RAGGING: JVIT did not have a single case of Ragging reported during its thirteen years of existence. The Placement Department at JVIT an active placement cell which caters to the placement and training of our Engineering and Management students. 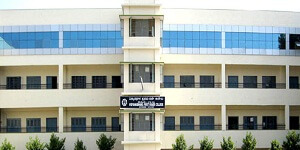 Many companies have visited JVIT for their requirement of fresh engineers and management students. 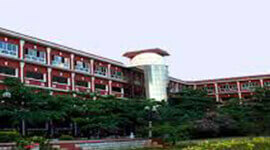 JVIT offers excellent infrastructure for conducting on-campus and pooled campus placement activities. 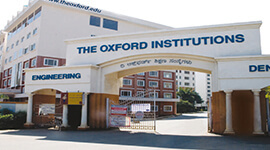 The placement department has 6 Training Rooms, 6 GD rooms, 4 interview rooms, Big seminar hall and Control room. The Placement Department supports training in CV Writing Mock interviews, Group Discussion , Aptitude Assessment, etc. Highly qualified and experienced faculty, fully committed to individual growth of each and every student. 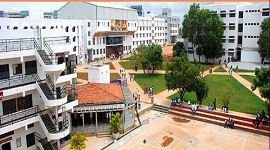 VIT has both boys and girls hostels within the campus with all amenties at a very reasonable cost. The library has huge collection of books and journals to cater the needs of teachers and students and to include new and latest titles.